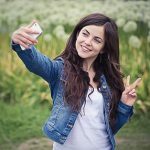 Anazao News Helping the Homeless in Atlanta GA | Do good, feel good with Anazao Salon Snellville and get 10% off salon retail! We’re helping the homeless in Atlanta, GA with an amazing, spirit lifting project happening at Anazao Salon during August and we’re offering 10% OFF all salon retail to everyone who gets involved! It doesn’t take a rocket scientist to see that the world around us is in a bit of a mess. It’s times like this that lending a helping hand to people in need can also help us focus our energies on something meaningful rather than on the negative state of things around us. Samantha, one of our talented and caring stylists, came up with the idea to put together backpacks filled with supplies to give to the homeless in the Atlanta area. She’s connected with a couple of homeless shelters to distribute the backpacks to folks in need. We love it when our team members look past their own needs to see the needs of those around them. It’s a very Anazao and Aveda way of doing things! We’re partnering with Samantha by offering 10% OFF all salon retail products during August to guests who donate at least four items to the backpack project. Lincoln Fill Station, Snellville’s craft beer mecca, is also collecting supplies for the project so drop by and see them if you love craft beer or know someone who does. It’s been said, “The best exercise for the heart is to reach down and lift someone up”; We agree. 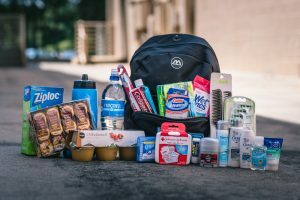 The backpack and supplies you see pictured cost just $30 to put together and we hope to build a slew of them to donate. We have included a list of the most commonly needed items to help make it easy for you to get involved. 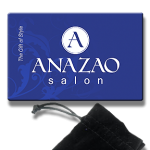 Donate any four of the items listed at Anazao Salon and receive *10% OFF your entire Salon retail purchase during the month of August!